Technically, there are no truly unlimited data plans in Nigeria. Most of the ISPs offering unlimited data plans actually have fair usage policy in place. When you reach a certain data amount consumed, spend is usually throttled. Currently, the major ISPs offering unlimited data plans in Nigeria are smile 4G LTE, nTel and Spectranet. All the above ISPs have fair usage policy in place for their supposedly unlimited data plans while the usual plans doesn’t really have fair usage policy in place. I have been using nTel for almost (if not up to) a year now. And since inception, I haven’t been able to use past 100GB in a month. The heightest I have attained is around 90GB. 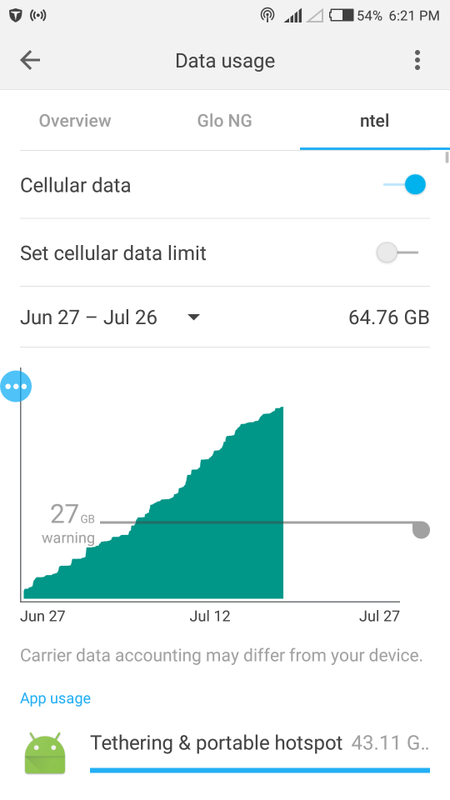 Within the last 30 days, I have only consumed around 65GB. Since the plan is unlimited, you would probably expect I consume more. Especially as a full time blogger who possibly spends most of his time online. Yeah? Well, how do I get to really spend more data when the best time to download large files is usually during at night. Most times, I can’t get to watch Facebook videos because Facebook videos do not adapt to your network speed as YouTube does. So, courtesy of the relatively low data transmission (despite being 4G LTE), I can’t enjoy Facebook videos as I have to deal with buffering. However YouTube works pretty well except I get to watch videos at reduced quality. Lately, i have to deal with network service being inconsistent on the nTel network. You can even tell from the screenshot above. Network was absent at the time of taking the screen shot. Anyway, we ain’t here to debate on the network issues and what-not. Instead, we are here to talk on the latest and possibly first GSM operator in Nigeria to have joined the supposedly unlimited data plans gang. Before now, Airtel Nigeria has been teasing it’s Airtel unlimited data plans and thankfully, it’s now officially in the market. NGN 20,000 Airtel Unlimited data plan with 30 days validity period. Confused? I dig. Different prices for what seem to be the same validity period, yeah? Well, here’s the thing. The Airtel Unlimited data plans are not truly unlimited. There are data caps. However, you only get to confirm this when you call the customer care service center to make inquiries. The NGN 10,000 plan has a data cap of 100GB. The NGN 15,000 plan has a data cap of 125GB while the NGN 20,000 has a data cap of 160GB. Looking at the prices and data allocated, I personally think it’s a good deal. Alternatively, dial *141#. When presented with the options, reply with 1. Thereafter, reply with 4 for the unlimited packs. The unlimited plans will be presented to you. Comparing that to the nTel 4G service, ntel’s unlimited data plan with 30 days validity period cost NGN 12,500. This was upped from NGN 10,000. 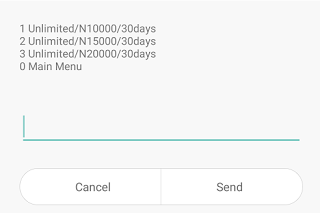 And despite paying NGN 12,500 on a monthly basis, I have not been able to consume more than 100GB. Airtel here, is technically offering 100GB for NGN 10,000. 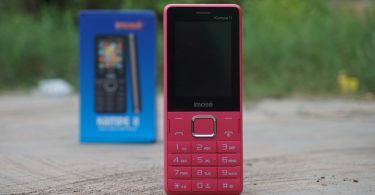 That will be NGN 2500 less the price I pay for nTel. My major concern however, would be value for money. I am not sure Airtel has had a clean record over the years. I do not have a first hand experience with the network (haven’t used them in years now). However, based on user’s review, it hasn’t been all pleasant. More so, Airtel still hasn’t launched it’s 4G LTE service in Nigeria. Hopefully, that is in the pipeline. If Airtel’s network service is much better than what the so-called 4G LTE nTel is offering, I think the Airtel Unlimited data plan is a good deal for the price. What do you think?